January | 2012 | CSR: Corporate Social Responsibility and You! CSR: Corporate Social Responsibility and You! William Edwards Deming once said “You can’t manage what you don’t measure.” This is a crucial point in sustainability reporting. Now, Deming did not focus his work on CSR, but was a consultant in how to improve efficiencies, especially on design, quality, sales and testing. His ability to create more efficient methods for operations stems from his inclusion of measurement. These methods allowed for him to understand what works well, what does not, and where improvements could be made. This is exactly what companies need know when producing sustainability reports…where to improve. Let’s put it in terms more closely related to you. Picture your utility bills. Each month you get a bill that tells you how much consumption of energy, water, gas, etc. that you use and possibly a graph showing what you’ve used in previous months and the year prior. What if these bills were broken down a little bit differently? What if you could see exactly how much electricity comes from using the T.V., the lights in your house, or your heating and air conditioning? Or how much water is being consumed from your shower and bath, the washer, or your sprinkler system? Wouldn’t you be more apt to not use certain things as much, turn the T.V. off when you’re having dinner, or take shorter showers? Of course you would. For one reason, no one likes to pay their utility bills. And second, most of us are curious enough to see what type of effect it might have. Hopefully, your energy company can incorporate these ideas into your next bill. Now, take the above scenario and apply it to the operations within a company. I’m sure things like rent, employee salaries, and other costs show up on the balance sheet, but what about waste, energy and water use, and costs of production. Measuring these things can give great insight into what is being done well, what is not, and where improvements can be made. You also need to consider the costs associated with each and how to best reduce them. By measuring what you can, you gain knowledge about inefficiencies and thus improve on them. In previous posts I have talked about how to reduce carbon emissions, increase your philanthropic impact, reduce your waste, and incorporate green solutions to your supply chain. Some of these things you might already do well and don’t need to focus on improvement, but other areas might be abysmal. Go measure, find out where you need to focus and improve and remember that just by taking the time to discover, you’re already on the way to more efficient processes, higher sustainability, and greater profitability. I’m glad to listen to suggestions and comments. Please share your success stories and where you or your company has improved greatly. Have a great day! Many companies are concerned with their greenhouse gas emissions. Unfortunately, many companies are still using operational methods stuck in the 20th century rather than upgrading to the 21st. Here are some ideas that you can incorporate into your CSR program to not only help reduce carbon emissions, but increase profitability and cut unnecessary costs. Upgrade your shipping fleet. Hybrid vehicles are no longer a thing of the future and can be utilized for cost reduction while reducing emission levels. Yes, there are some up-front costs to this method, but over time they pay for themselves in reduction of oil consumption. Depending on how many your company decides to employ and how much shipping you do will determine how quickly you achieve a return on investment. Improve your packaging methods. There are plenty of software packages out there to improve your packaging efficiency and create less space for your product. A couple of inches saved on a package can lead to more products on each shipment and less packaging material. The savings stem from making less shipments and creating less material waste. Reduce emission levels from shipping and production and cut costs while doing so. Corporate executives make a lot of trips to different facilities and back to “check-in” on daily operations. This can lead to unnecessary costs of travel and production of carbon emissions. Rather than the facilities scrambling to get things in order, have them keep them in order by using newer technologies. Skype and FaceTime can easily be utilized to virtually visit the stores or facilities. This way you can still “check-in” while not traveling and producing more pollutants. Save on the cost of airfare and the time needed to travel. Carbon emissions are a big concern in today’s society and reducing them can be a great way in producing a better public image while creating a social benefit and reduce costs. Take advantage of the ideas above, help the world, and help your company. As always, I love to hear your suggestions, comments, and thoughts. In a previous post, First Steps of CSR Planning, I mentioned getting your CSR Plan off the ground and running by incorporating top-level management and others within the organization. It is important to know that by having the support of these people will help with creating a desirable corporate social responsibility structure, but gaining the support is where we want to focus. Present to the people in charge. Make sure that your presentation is configured like a sales pitch or business plan. You must be able to show value to what you are presenting. If not, then your product doesn’t sell. Whether you are trying to encourage and implement CSR into the structure of a company or upgrading the one currently in existence, the approach should be the same. The financial implications of what you are presenting are very important and will be discussed. Do your homework, show what type of investment is needed and when to expect a return on investment, and show the profitability of these efforts in time-frames afterward. Also be sure to include that the projects you are looking to undertake are doing good. Doing good = Better public image. Don’t worry about going all out to begin with. Focus on the points that will create an impact and have high ROIs. Its okay to ease into the system and show that there is a great amount of value in your plan. You can also choose to employ the methods only in certain parts of the company, maybe company headquarters or a certain region for the company. Get your toes wet before jumping in, especially in larger corporations. Results will speak for themselves. Finally, don’t spread your focus too thin. If you’re contributing to too many things you won’t notice the gains of the top performing programs and could jeopardize the entire plan. I always look forward to your suggestions, comments, and stories. Thanks for reading. Many times companies enter the world of corporate social responsibility by philanthropic efforts, but that’s where many of these companies conclude their efforts. It’s an unfortunate situation, but many companies feel that a donation of money is enough. Frankly, it’s pitiful that so many corporations believe that their efforts are enough. It’s great that companies are willing to donate part of their revenues, but monetary gifts are only a gesture, not an effort. By coupling monetary efforts with personal involvement much more can be accomplished. Incorporating the corporation’s personnel will have lasting effects and can create a ripple effect for continued efforts. As I discussed in Non-Profits: Sources for CSR, the not-for-profit organizations offer a platform for inspiration in CSR strategizing. This innovation and dedication can also be utilized in a company’s philanthropic efforts. Non-profits create communities and meaningful experiences through engagement of volunteers. They create a connection on a personal level that is irreplaceable and keeps people returning to offer their services again. These volunteers feel that they have a sense of belonging and have partaken in something that has created good, giving them the satisfaction that is innate in most humankind. The world’s for-profit corporations should follow these examples to engage their employees and create a longer-lasting impact. Donations to causes help, but donations of people’s time and effort create impact. Companies can be more influential by sponsoring a program and or cause AND bringing others to aid in the efforts. Employees donating their time will benefit both the efforts of the organization and personal achievement. Many people already volunteer their time and have compelling stories of their interactions and personal connection to the cause and many are looking to insert themselves into a worthy cause. Companies need to take advantage of the assets they possess and utilize them in a momentous and purposeful manner. Companies can also create incentives to join in on the cause as well. If the company can show its support for the efforts, it is more likely that employees will join the cause and eventually spread the word to create meaningful experiences for others and further the expansion of efforts. Engagement of employees is key to creating a more desirable workplace. By contributing time coupled with money to a cause will help create a better sense of belonging leading to higher engagement and a greater reach of impact. Philanthropy does not have to end at donations of money, but should continue to create ripples by generating meaningful memories that will pay for themselves through personal connection and accomplishment. For-profits can learn a lot from the non-profit community. By following the examples of these organizations we can stray from paying for others to be hands on and we can learn for ourselves to do more good. I’d love to hear your stories and experiences. Comments and suggestions are greatly appreciated. Milton Friedman once said “the sole purpose of a business is to generate profits” and many companies still believe this to be true. For-profit corporations have enjoyed and taken advantage of freedoms that will undoubtedly affect future generations, the role of business, and the environment. Even though many companies are turning to CSR to help slow-down the problems they, themselves, aided in creating, these companies are innovating new methods that have a dual purpose: help society and help their profit share. In numerous examples, companies are seen creating more efficient processes that lead to less waste, better use of materials and time, and ultimately higher value to the company. The practices of these organizations and companies that are trying to help is one of the key differences between those adapting to change (for-profits) and those creating the change (non-profits). Inspiration creates change, innovation, determination, and community. For-profits should look to non-profits for their inspiration. The processes and strategies they employ can be harnessed, modified, and employed within operations to provide social benefit and possibly for profit. These for-profit companies need to look to the not-for-profits more often. The emergence of non-profit organizations has brought light to many of society’s challenges and has in-turn changed the way many view the world, especially those in the business sector. As one can see, many companies have altered their focus from turning a quick profit to becoming more efficient, environmentally friendly, or involved in some other social problem. The not-for-profit companies provide a voice for public concerns, a vehicle for civic participation, and the foundation of participatory democracy and have been nurtured and catapulted by the uprising of non-profit organizations. Non-profit organizations give their participants the ability to create “ripples” through communication, experience, cultivation, and community. The development of these ripples and the innovation needs to be harnessed for success. Companies are trying to grow their markets, cut costs by a few cents per item, remain competitive, and then finally look into social problems. Once companies are less concerned about how much they make or how they can remain at the top of their respective market and start realizing that others can provide the motivation, then real change can begin to take place by creating more cooperation and solving the bigger problems of the world. 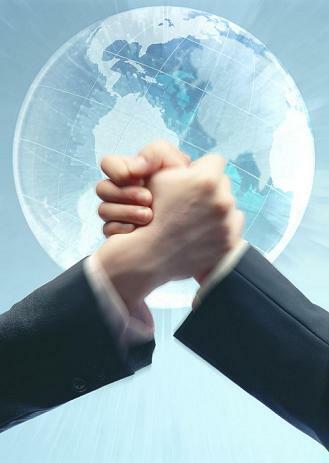 Once this partnership becomes more prevalent, the strategies that provide the greatest change and innovation will remain within the non-profit sector. The change is waiting to be found. You just have to know where to look. I told you where to look. Go find it! Comments are greatly appreciated. If you’re part of an organization that uses certain strategies that can be adapted or have adapted some strategies, please tell your story and help propel the partnering of for-profits and non-profits. Paper and plastic are easy to find in recycled form. 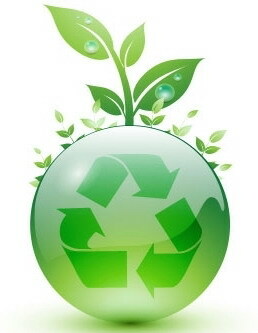 Switching over to recycled paper or plastic is not that hard and not costly. Companies can use the paper for everything from reports to their paper ads to the receipt tape. Plastic is used on hangers, bags, shrink wrap, etc. Just by using these materials the companies will decrease their footprint by not using new forms of waste. Recycling is a culture and a mindset. In order to get people within the organization to recycle the company has to promote it. They don’t have to recycle everything, but a few containers in their facilities will go a long way in making people more aware of that culture. Balers can be used for plastic too, not just cardboard. Use them for the plastic packing materials and save on the waste. Even though there are a lot of up-front costs to installing new lighting systems, the ROI on these systems is relatively quick. Plus, they maintain low energy costs, which means higher profitability. Skylights give natural light to facilities and help people enjoy a sunny day within the confines of the facility. Take advantage of not having to turn the lights on and waste energy. If you have any suggestions or wish to comment please feel free to click the link above. Many companies do not have complete control over their supply chains. I’m not talking about first-level suppliers, but the entire supply chain from point of raw materials to the consumer and back. This is especially true within the retail environment. These companies purchase brands that have very little control over, if not none at all. But, many retailers have control over private labels and this is where they can create a huge impact. Private labels, for the most part, offer companies the ability to create extremely high (some would even say obscenely high) markup ratios. What these brands usually do not offer is quality, but that is not what these companies are relying on. They want you consider the brand because of price. Why can’t the consumer have both? Take for example brands like REI or Patagonia. They have their own brands that are made in an eco-friendly manner and have great quality. They also have a significant markup and a loyal customer following making them very profitable. Personally, I have found that people are willing to pay more to have a product that is eco-friendly. But that’s not all. Through research and development, these companies have reduced the overall costs of production and created stability as well. The entire production process is a great cost-reduction strategy. This production process might initially have high setup costs, but done correctly will create less waste, use less inputs, have lower energy usage, and a better quality assurance. The company can also create a cradle-to-cradle process to return used/old product to recycle the materials and use during production. This not only reduces the footprint of the product, but it also engages consumers to aid in becoming socially responsible. Include consumers in the process by creating a cradle-to-cradle process to recycle materials. By employing these strategies corporations have the ability to increase their profitability and customer satisfaction while continuing to increase their creation and maintenance of social good. Please let me know your opinions and suggestions by commenting.